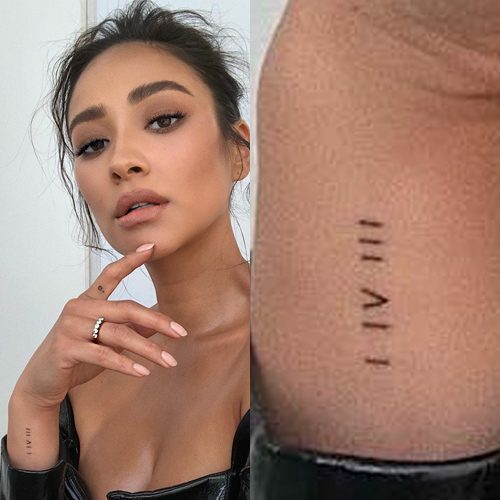 Shay Mitchell has the roman numerals I IV III – 1 4 3 – inked on her right wrist. 1 4 3 is a code for “I Love You” based on the number of letters in each word. 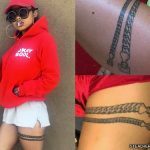 Shay Mitchell gets the word “honey” inked on her left hand at Choachella festival in 2018. The six leading cast members from the TV show Pretty Little Liars celebrated their final day of filming on October 28th 2016 by getting matching tattoos of their characters’ initials. They chose their index fingers for the matching ink because of the shhhh that they all make in PLL’s opening credits to show that they are hiding secrets. 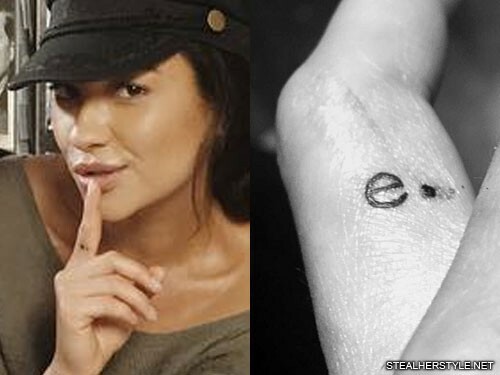 Shay Mitchell got a lowercase “e.” for her character’s name Emily Fields. In a snapchat video, Ashley Benson asks if she’s scared to get the tattoo, to which she responded “Yeah I am. It’s exposed. I have one [tattoo] and it’s white.” Shay’s white ink infinity wrist tattoo is barely noticeable, making this her first “real” tattoo. 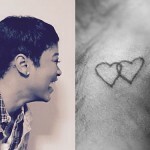 Ashley on the other hand has lots of tiny tattoos. 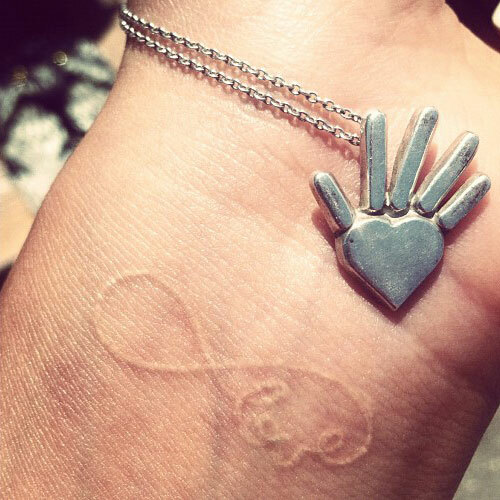 Shay Mitchell has a white ink tattoo on her left wrist of an infinity symbol with the word “love” in it. 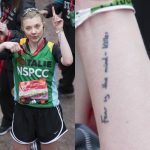 This tattoo, which was her first, blends into her skin and is almost impossible to see most of the time.